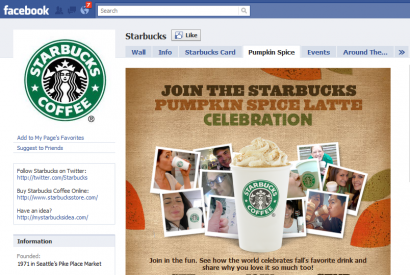 A Facebook Page with lots of fans can do wonders for your brand. Not only is Facebook a naturally “viral” online channel for engagement; its Fan Pages are also a pretty flexible Internet marketing platform, with space for lots of apps, optimization opportunities, multimedia content, social sharing, and trackable information. Of course, to maximize Facebook’s power, you actually have to get people to officially “like” your page. 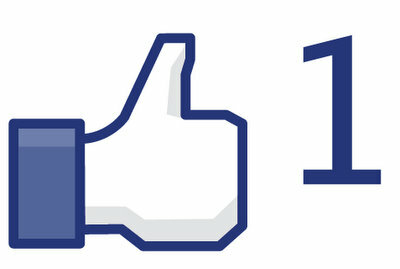 Without enough “likes”, you may be wasting effort on something that’s not reaching anyone at all. You’d be like a chef preparing 30 starters and 50 main courses for a restaurant that has less than 10 customers. The product/service/brand may be good, but no one knows enough about it. Comment and reply. If someone posts on your Wall, don’t ignore it. Respond in a timely manner. Say thank you or write a meaningful comment that shows other Facebook users that, wow, the admin of this Facebook page is not actually anti-social. The key is to engage – to show the audience that your brand is a brand that listens and cares. Do this and before you know it more people would be keen to get in touch with you. Post fresh, quality info. If a “non-fan” visits your Facebook Page and sees that the last comment or Wall post was made a year ago, he or she will likely hesitate to press the Like button. “What for?” would be that non-fan’s reasoning. So show visitors that you consistently post fresh content on your page, and that they’ll be missing out on a lot of meaningful stuff if they don’t decide to become fans. Offer exclusives. One great way for Facebook users to encourage other Facebook users to like your page is by rewarding them for their support. A reward can come in many forms: an exclusive coupon for Facebook fans, a discount, a customizable badge or tab, or even just a friendly shout-out. Whatever it is, make sure it’s really exclusive, and that they can’t get it elsewhere (like your website or blog) without being fans of your Facebook Page. Use social plugins. Facebook’s social plugins or extensions – which come in buttons or boxes – let users see what their friends have liked, commented on, or shared. Some examples are the Like button, Activity Feed, Login Button, Facepile, and Live Stream. You want more visibility on Facebook? Add these plugins to your website or blog with just one line of HTML. They’re made to increase your chances of showing up on users’ news feeds; the more you do so, the more people will be encouraged to find out about you, search your Facebook Page, and connect with your brand. Scatter inbound links to your page. Promoting your site on your Facebook Page is one thing. Promoting your Facebook Page on your site or blog is another. Don’t hesitate to crosslink. Post inbound links to your page, too, on your Twitter account, your LinkedIn profile, your personal Facebook profile, your Tumblr, your whole social networking ecosystem, even your E-mail signature and business card. If you think a mere link is too subtle, then go ahead and create a cute, fancy banner. Leverage your subscribers list. Have people signed up to receive E-mail or Reader content from you? Chances are, they’d be interested to know that your brand is on Facebook, too. So get that subscriber list and send out invitations for them to like your page. They probably will. Ask friends. Frustrated with not getting enough fans? Do what you would do in real life: request help from a friend. Or from hundreds of friends. It is kind of tough to start a new Facebook page and get complete strangers to support it. (Besides it would kind of feel like you’re spamming.) So go ask people you know, people who surely will take the trouble of clicking one button. Create an FBML landing page. Facebook allows page administrators to choose separate landing pages or tabs for fans and non-fans. If you want to appeal to the latter and convert them into the former, customize the tab that they arrive at, or “land”, once they click on your page. Sure, it’s cool to just let them see your wall, but it’s even cooler if these non-fans land at a customized image, a new promo, a visually appealing app, or a fancily designed Facebook tab with both a call to action and a contact number. Check out what Starbucks did below. Tag. One of the most “social” features of Facebook is status tagging, which is kind of like using the @reply function on Twitter. This feature isn’t just for tagging friends; if you’re a Facebook Page administrator, you can tag and be tagged, too – by friends, fans, groups, and even event pages. Why is this important? The more you tag, the more you can acknowledge followers and supporters – and the farther you can extend your connections. Write on walls. No, no, not to vandalize. But to acknowledge and reciprocate the efforts of fans who’ve written on your Facebook Page’s wall. By doing this Wall-to-Wall form of engagement, you’re also exposing your page to the friends of these fans’ walls – another great way of extending your reach. Add multimedia. It’s so tough to stand out on the Web these days, but adding photos, videos, music, podcasts, and interactive applications can only help your cause. An all-text Facebook Page won’t be a visually appealing one, so don’t limit yourself to tell, tell, tell. Show, show, show, too, and do it by leveraging the sensory powers of rich multimedia. Some really valuable social media strategies for Facebook. Thumbs WAY up!